The Disney-Fox deal will go through at 12:02 a.m. Eastern Time on Wednesday, March, 20, 2019, which will see the $71.3 billion deal close. Among the properties that Disney will be getting includes the James Gunn Avatar franchise, Aliens, Predator, Disney will now have all the rights to the original Star Wars, the X-Men and related characters including Wolverine, Deadpool, Cable and X-Force, and the Fantastic Four and related characters including Silver Surfer, Galactus, Annihilus, Super Skrull and more. As the deal hasn't gone through, nothing official has been announced by Disney or Marvel, though CEO Bob Iger has mentioned a few things in conference calls and interviews including that the Fox-Marvel properties will come under Marvel Studios president Kevin Feige and that they might create a separate Marvel brand for the r-rated characters and movies like Deadpool, with Feige also hinting they will be using new and unknown X-Men characters. Longtime X-Men producer Lauren Shuler Donner also confirmed Wolverine will be rebooted within the MCU and that the Fox-Marvel properties are on hold. It is though Dark Phoenix will be released in June, but New Mutants may get a streaming service release. 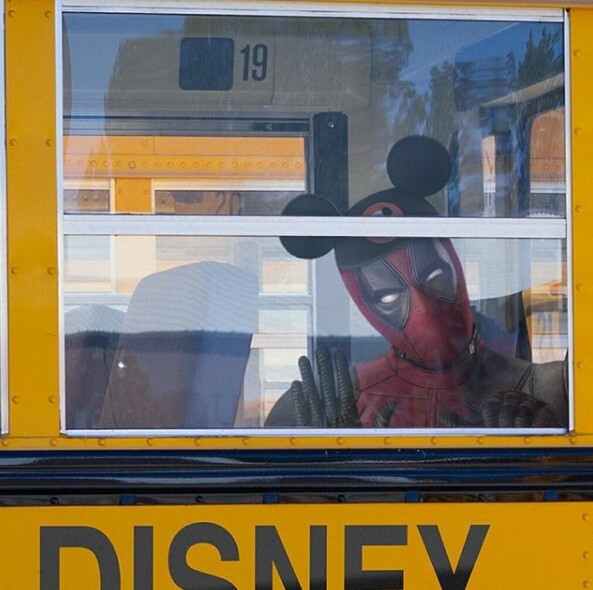 Update: Ryan Reynolds also celebrates the closure on Instagram with an image of Deadpool going to school. "Feels like the first day of ‘Pool," Reynolds writes.